Just as plenty of people buy a 4x4 and never leave the pavement in it, some people out there buy a pickup truck who don't do a great deal of towing and rarely haul cargo more demanding than passengers. For most truck-buyers though, these vehicle are all about capability. The 2017 Nissan Titan has a maximum payload of up to 2,590 pounds, but it's maximum trailering capacity of 12,310 pounds is really impressive for a light-duty truck. 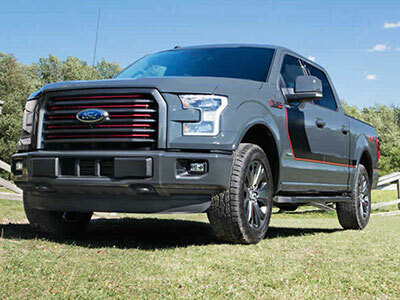 The Ford F-150 has lots of engines available, and its maximum payload is seriously good at 3,270 pounds as a result of its lightweight aluminum body. The Maximum amount you can tow with an F-150 is very good at 12,200 pounds, but that all-important number is less than the Nissan so the Titan wins this round. 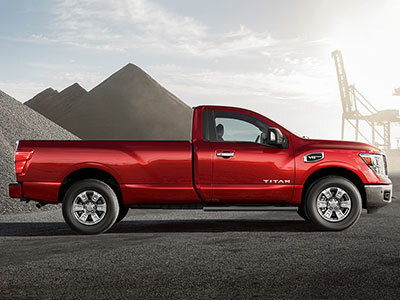 The Nissan Titan only has two available engines, but they've got the bases covered as one is a 5.6-liter gas V-8 and the other is a 5.0-liter V-8 turbodiesel. The standard gas engine is pretty impressive with its 390 horsepower and 394 lb.-ft. of torque, but the diesel is a real workhorse with its 310 horsepower and seriously capable 555 lb.-ft. of torque. There's an engine for every season in the Ford F-150, but the standard 3.5-liter V-6 is less powerful than the Nissan. There's no diesel yet so the most torque available comes from the 5.0-liter V-8, but its 387 lb.-ft. is no match for the Titan so this is another victory for the Nissan. You can opt for Single and Crew Cab versions of the Nissan Titan, although a King Cab is to follow. The Zero Gravity front seats in the Titan are supportive and will be comfortable during a long journey. If you're looking for nice leather upholstery, you can find it in Platinum Reserve models, making the Titan as comfortable as an upscale sedan at higher trim levels. The F-150 can also be anything from a utilitarian work truck to an executive office on wheels. The interiors are spacious and comfortable, although there are more stylish cabins in the market. In terms of passenger comfort, it's a simple equation; the more you pay the better it gets. Anyone using a truck for commercial purposes will want to know what fuel economy these trucks get. This latest Nissan Titan represents a 28 percent improvement over its predecessor, but its best ratings of 15 mpg in the city, 21 mpg on the highway and 18 mpg combined are fairly average. The Ford F-150 with its lightweight aluminum body possibly isn't as fuel-efficient as some might imagine but they're better than the Nissan. Rear-drive models with the 2.7-liter EcoBoost are the most frugal with EPA ratings of 19 mpg in the city, 26 mpg on the highway and 22 mpg combined, so this is a win for the Ford. It would be easy to just go for a Ford F-150 if you want a new full-size, light-duty pickup truck, and you are unlikely to be disappointed as it is the best-selling vehicle in the market. But if you dig a little deeper into the details, the 2017 Nissan Titan is an impressive (and dominating) competitor. With impressive capability and a posh interior, the Titan is the right choice.